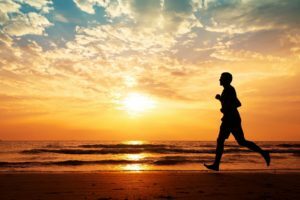 Why do you need a health goal? And what does that even mean? What are H E A L T H G O A L S? What does it even mean?? No matter at what stage we’re at, we need a goal. Looks like everyone today is creating something HEALTHY or “leading a healthy lifestyle,” yet very few see results?. Why? We believe in curative measures (medication, surgeries & doctors) more than preventive (eating right for individual body & movement). As though we are waiting for something to happen to take charge of our health (inside-out). We talk about hitting the gym & eating right. Yet, 90% doing the supposedly “right things” are not really getting success in their journey. Even with advanced technologies & sciences to boot, statistically, we are the most unhealthy & unfit generation, today.? There is a bombardment of information, often conflicting, which doesn’t get implemented, ever!? I feel blessed? to have had the opportunity to help so many individuals overcome lifestyle diseases such as thyroid (of all kinds), PCOS, Cholesterol, regulating blood work, of course, obesity, diabetes, digestive issues (recent brouhaha about gut health) and more, through holistic food??. Food is our healer?, if we eat right as per our bodies ? ?I will eliminate refined sugars from my food (it’s in every processed foods these days) for 21 days. ?I will eliminate dairy for 1 week & see how my body feels. ?I will closely observe for two weeks what foods bloat me or make me retain water. ?I will have more water within a week and see how it helps. ?I will eliminate gluten from my body for 21 days if I’m inflamed. ?I will consume more greens to see how it helps my digestive health & makes me feel, for 15 days. ?I will include more walks and movement in my schedule for 21 days to get rid of sedena tary lifestyle. WHAT ARE YOU STRUGGLING WITH? What would you like to change? ← Here’s a Healthy Pasta Alternative: No it’s not made with Zoodles!